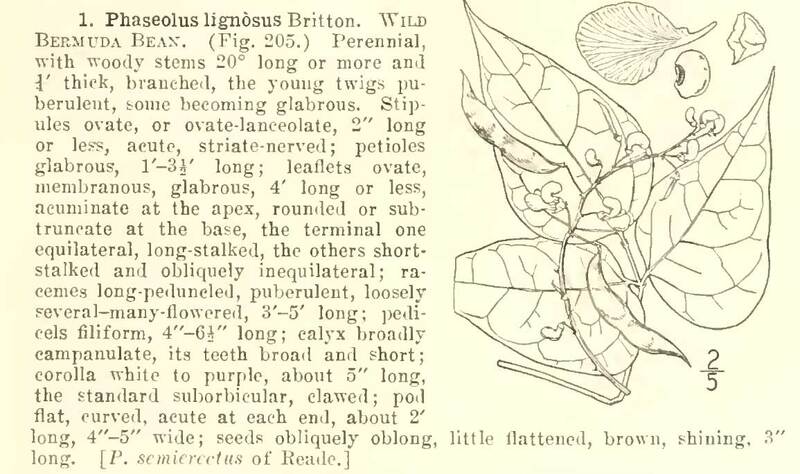 Britton's 1918 Flora of Bermuda contained a record of the Wild Bermuda bean which caught the eye of Daniel Dubouck. Daniel Dubouck has collected 3,900 botanical specimens during 38 expeditions in 11 countries of Latin America and has discovered 14 new species. Seeds of the Bermuda bean were multiplied by CIAT and conserved in its genebank. The Bermuda bean (Phaseolus lignosus) is endemic to the island that gives it its name, and is on the verge of extinction in its homeland. 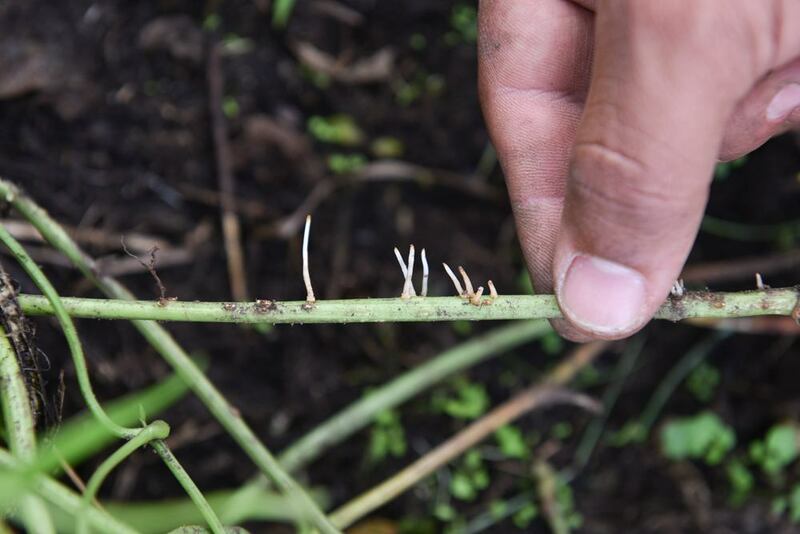 Seeds of the Bermuda bean were regenerated at CIAT's Popayan station. The lower internodes of stems have a special capacity to produce adventitious roots. If the mother plant dies off, younger plants at the periphery will survive. That could be an adaptation to places exposed to strong winds. 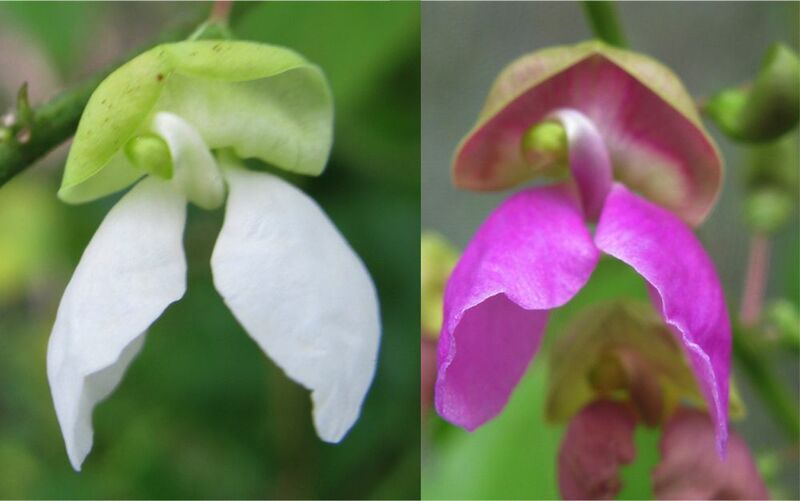 Of the four initial seeds planted, three had white flowers while one had magenta flowers. Daniel Debouck doesn’t believe in ghosts, but he says he saw one once … or rather a ghost species. Debouck, the former head of the genebank at the International Center for Tropical Agriculture (CIAT) in Colombia, first noticed the mysterious species in the Flora of Bermuda, published in 1918. As one of the world’s leading authorities on bean diversity, Debouck was intrigued by a drawing of a bean species that he had never seen before, and wondered if the plant still existed. His search for the Bermuda bean led to the confirmation that it was a real species after all, and to the discovery of some amazing, unique traits. The Bermuda bean (Phaseolus lignosus) is endemic to the island that gives it its name, and is on the verge of extinction in its homeland. But Debouck discovered that over millennia the Bermuda bean has evolved a root system that makes it more resistant to tropical storms. As climate changes and extreme events become more frequent, the ghost that Debouck has uncovered could play a part in greater food security. The Bermuda bean could have been lost forever if it had not been for the foresight of collectors from the Millennium Seed Bank of the Royal Botanic Gardens, Kew, who first collected seeds from the plant in 2008, and the subsequent efforts of Debouck and his team at CIAT to multiply and conserve seeds for the future in the CIAT genebank. 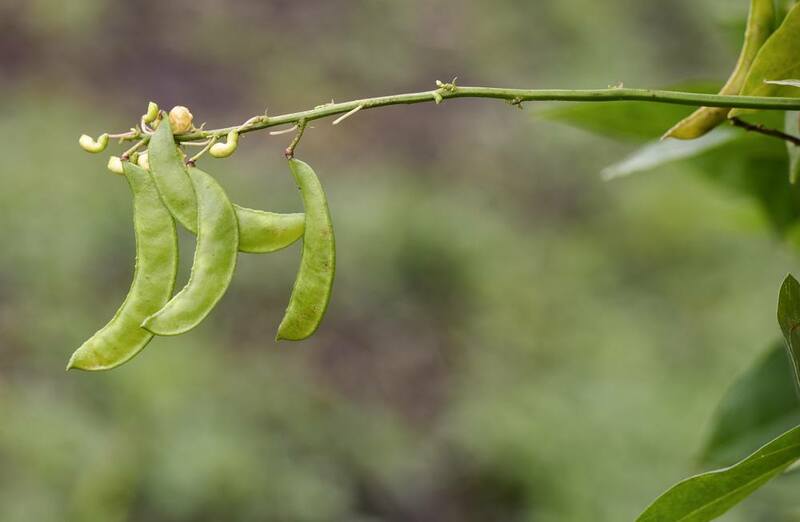 Very few wild or cultivated bean species have escaped the notice of Debouck, a Belgian researcher who has collected Phaseolus species from northern Mexico to Argentina. Debouck has collected 3,900 botanical specimens during 38 expeditions in 11 countries of Latin America and has discovered 14 new species. Debouck managed the genebank at CIAT in Colombia from 1996 until December 2016, when he started a transition toward retirement. In 2017, he received the Order of Leopold, the highest recognition that the Kingdom of Belgium bestows, for his 40 years of scientific work. So Debouck looked for the Bermuda bean beyond the pages of the old flora and that search took him to several of the world’s herbaria, which are repositories of dried plant collections. “The bean could well have been lost in that book,” Debouck said. “But in 2011, I visited the Kew Herbarium.” As he was reviewing herbarium sheets, he found a specimen of the Bermuda bean. “It was one chance in a million, but there was a tiny note on that herbarium sheet stating that seed of the species existed in the Millennium Seed Bank collection.” Kew botanists had not only made two herbarium specimens of the bean, but they also collected seeds and had conserved them in the Millennium Seed Bank (MSB). Debouck contacted the MSB staff at Kew’s sister garden in Wakehurst Place in Sussex and they sent him a few seeds in 2012. But Debouck wasn’t interested in merely validating the taxonomy of the Bermuda bean. He wanted to ensure its survival and study its morphology. After months of growing both colored forms at CIAT’s Popayan station, Debouck and his team obtained thousands of seeds. There are now seeds available for additional studies and for conservation in the Millennium Seed Bank, the Svalbard Global Seed Vault and the CIAT genebank. Once the Bermuda bean emerged from the pages of the old flora and from herbarium specimens and he had multiplied sufficient seed, Debouck was able to study the traits of the living plant. 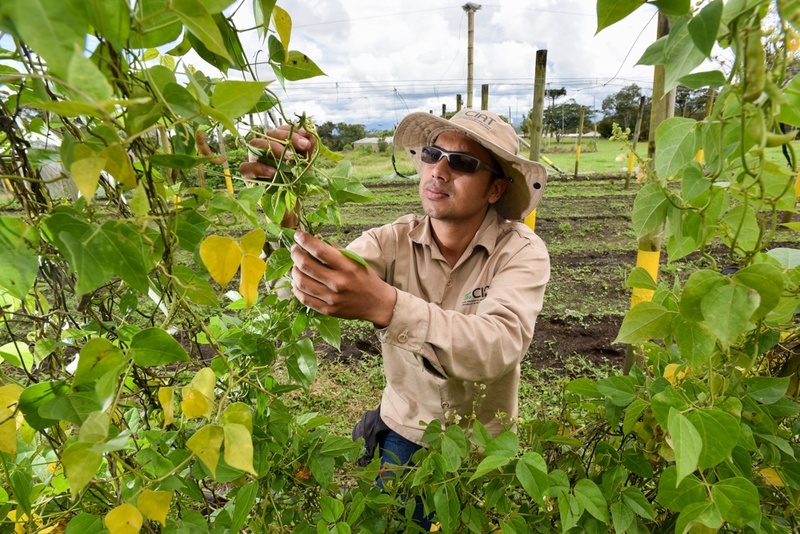 The Bermuda bean was put to an unexpected test in late 2017 at the Popayan station. A violent storm swept through the research station and decimated most trials. Only the Bermuda bean was left standing. The Bermuda bean has now been saved for posterity, but only in the nick of time. It is possible that soon there will no longer be any living plants in the wild. Surveys suggest that only 29 plants remain in the wild on the island. It is listed as “critically endangered” under both Bermuda’s Protected Species Act and the Red List of Threatened Species of the International Union for Conservation of Nature (IUCN). Fortunately, the seeds were collected by the Millennium Seed Bank and its partners in Bermuda and have been multiplied by Debouck and his team at the CIAT genebank. In October of 2017, CIAT sent seeds of the Bermuda bean to the Svalbard Global Seed Vault as an added security for the future. The species, which has evolved into a unique representative of the bean family during millions of years in isolation, is now safe from extinction. 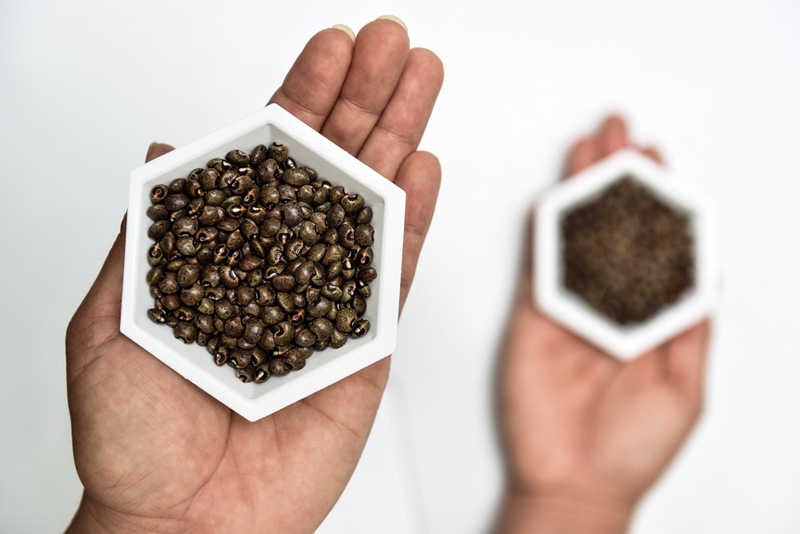 The crop diversity safeguarded in genebanks can help breeders if they want bigger or smaller plants or grain, or a different seed color, or better yield, or even better taste. “Crop diversity gives us these options and it comes straight from nature,” Debouck said. “But to access these traits, we need to conserve and make available the crop wild relatives. And that is the role and thus the importance of genebanks.” Genebanks around the world are working to conserve this crop diversity. The CIAT genebank is one of 11 global genebanks managed by CGIAR centers. 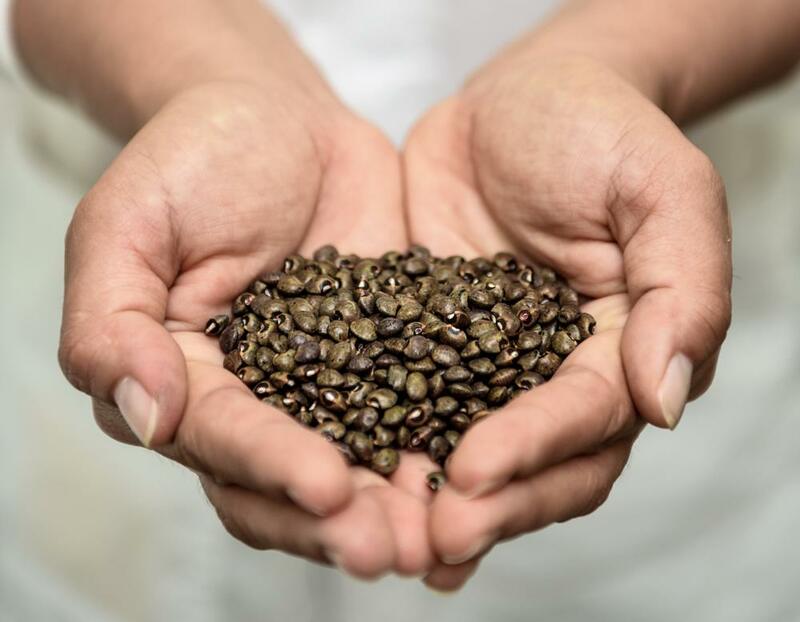 The Genebank Platform, a partnership between the Crop Trust and CGIAR, ensures that the genebanks meet international standards, improve efficiency and facilitate more effective use of the collections. Much of genebank work, like that conducted by Debouck, is funded via the Crop Trust’s self-sustaining endowment. Each year, a portion of the fund’s value is paid out to ensure that the crop diversity held in genebanks is conserved and maintained. The ghost that Daniel Debouck thought he once saw is no longer an apparition. 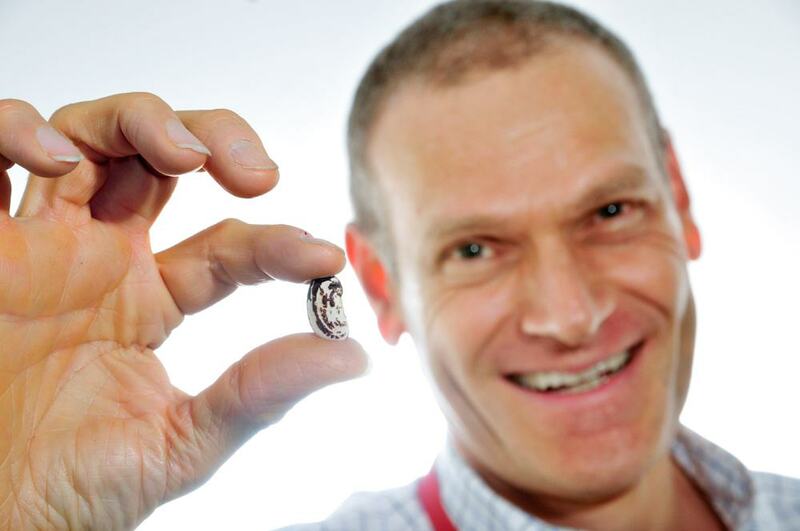 The Bermuda bean is alive and well in three major genebanks and one day could add its wind resilient traits to a common bean on our dinner table.